More than 4000 people took part in the contest between January 16th, 2013 and February 17th, 2013. Dmitrii Baranov from Krasnodar, who was the first to answer all of the questions correctly, became the winner. 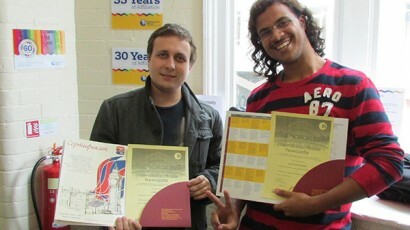 Dmitrii was awarded a two-week educational trip to the one of the best language schools in Europe, International House Newcastle, from September 1st to September 15th, 2013. During the trip he not only studied English with students from all over the world, but traveled across Great Britain discovering new places for himself in Lord Byron’s and Shakespeare’s homeland.